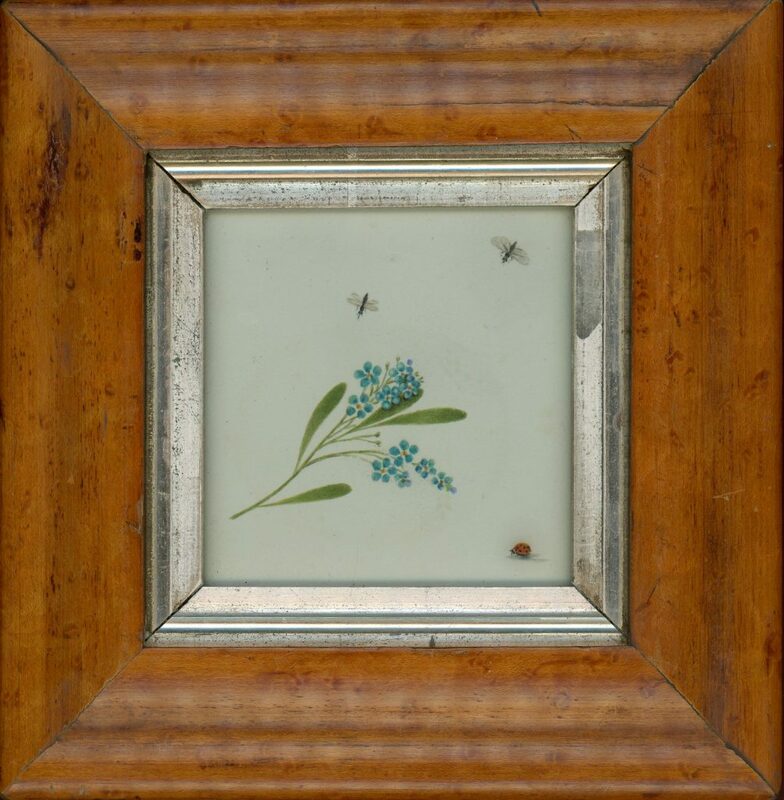 This appealing little Georgian watercolour features a sprig of blue forget-me-not flower, a symbol of true and undying love as well as fidelity and, as it’s very name suggests, remembrance. 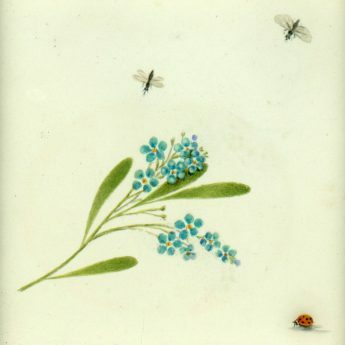 Two flying insects hover over the flower and a cute little ladybird sits in the foreground. This botanical watercolor has been extracted from an accomplished young lady’s album of watercolors and drawings and so in fine and fresh condition. It is presented in a period bird’s eye maple veneer frame with a gilt slip.